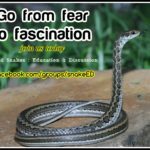 The official website for wild snake education. What do snakes do when it gets cold? In locations with temperate and subtropical climates, snakes take various cues both from their environment and internally as winter approaches. 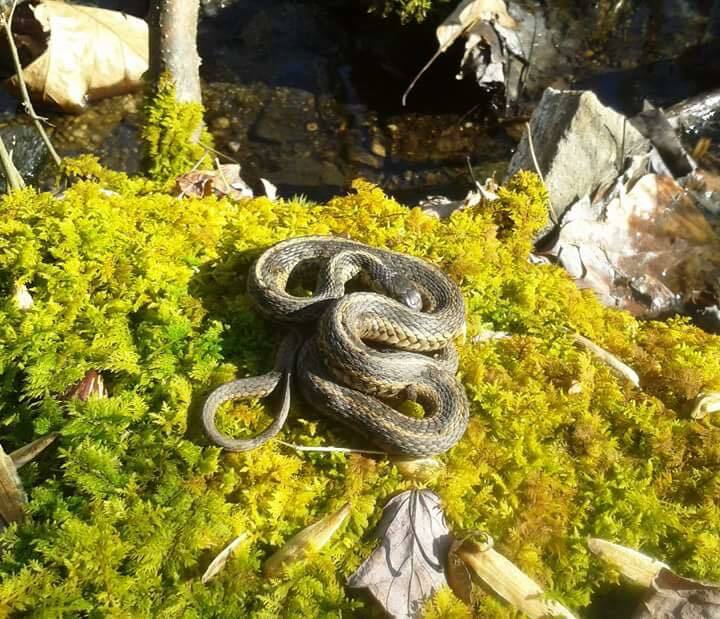 There is no exact timeframe or duration, rather a group of exogenous and endogenous changes that tell snakes it is time to reduce activity and overwinter. 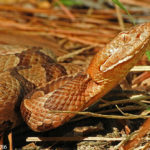 Change in temperature is not the only thing that tells a snake it is time to find a shelter – the photoperiod (number of daylight hours), humidity, and even barometric pressure, all tell animals that winter is on its way. 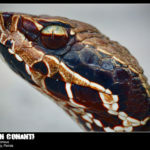 Internally snakes experience various hormonal cues and changes in circadian rhythms that influence their behavior, and these processes all get them ready for brumation. 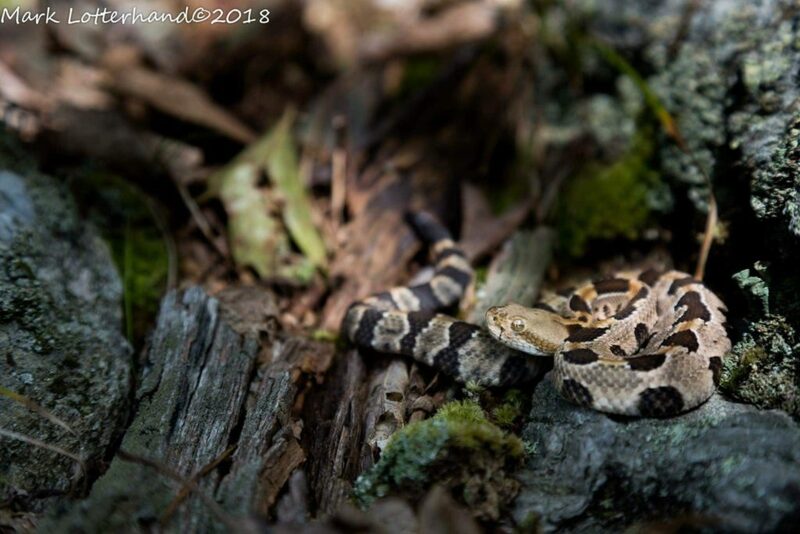 Baby “yellow phase” Timber Rattlesnake (Crotalus horridus) venturing a short distance from its birthing rookery. Found and photographed Oct 2018 by Mark Lotterhand. What is the difference in Hibernation and Brumation? Hibernation and brumation are very similar: they are periods of dormancy in which an animal becomes less physiologically active, growth stops, and metabolic processes slow down. On the surface they appear to be about the same, however there are some differences between these two activities. Mammals and reptiles both eat more to build up fat before winter, but reptiles also build up high levels of glycogen. This is a form of sugar and used as energy for muscles. Mammals rely upon fat reserves to survive winter, while reptiles mostly use glycogen. For reptiles their fat reserves play a bigger role in reproduction, supporting egg development and mating activity, and some snakes need to go through brumation in order to start reproductive processes. A larger difference between hibernation and brumation is the animal’s oxygen requirements. 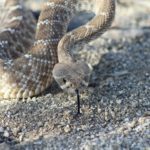 Mammals do slow their respiration rates down in hibernation, but they still require a certain threshold of oxygen present to survive – snakes can actually handle far lower oxygen demands and fluctuations than mammals. Another difference between mammals hibernating and brumation in snakes is that mammals will sleep the entire duration of their dormancy period – snakes will not. Their dormancy has periods of activity. If the weather is mild, they will take advantage of the opportunity to venture out and bask. Though they won’t go very far from their chosen hiding spot or den site. An important feature of snakes brumation is they need to drink and avoid dehydration. Eastern Gartersnake (Thamnophis sirtalis ) on New Years day in Pennsylvania. Found and photographed by staff Bill Rulon-Miller. Do snakes sleep in dens? Yes, snakes seek out various natural, and sometimes artificial formations as potential overwintering spots. It could be something as modest as a pile of mulch or brush, to a complex hibernaculum with expansive interconnected chambers in a cliff side. You can often find several species utilizing the same hiding places in warm weather, and as the weather cools that is no different. Multiple species can be found taking advantage of the same dens. 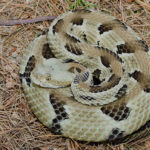 Some species, such as the Timber Rattlesnake (Crotalus horridus), return to an ancestral den site year after year, the same place they were born themselves. Here in New England, Black Racer snakes are commonly found sharing Timber Rattlesnake den sights. 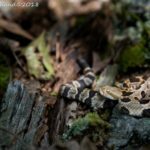 They have been known not only to share these dens, but to take advantage of young Timber Rattlesnakes (and other species) as a meal. 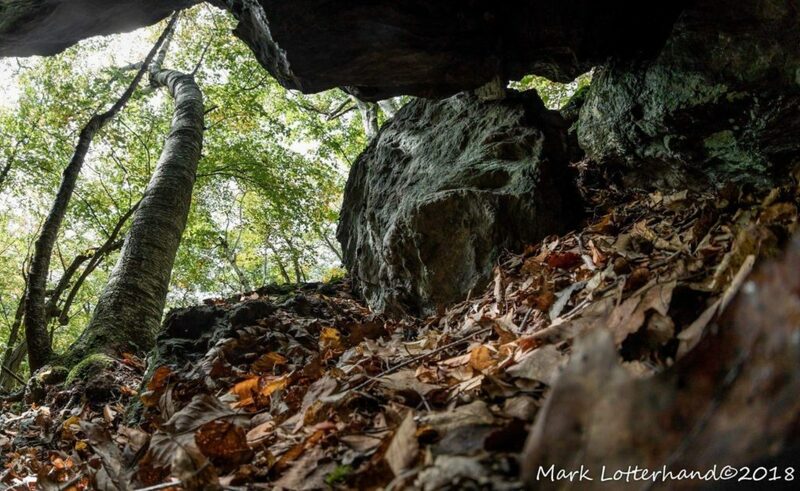 A unique perspective of a Timber Rattlesnake den. “Inside looking out.” Mark Lotterhand NY Oct 2018. 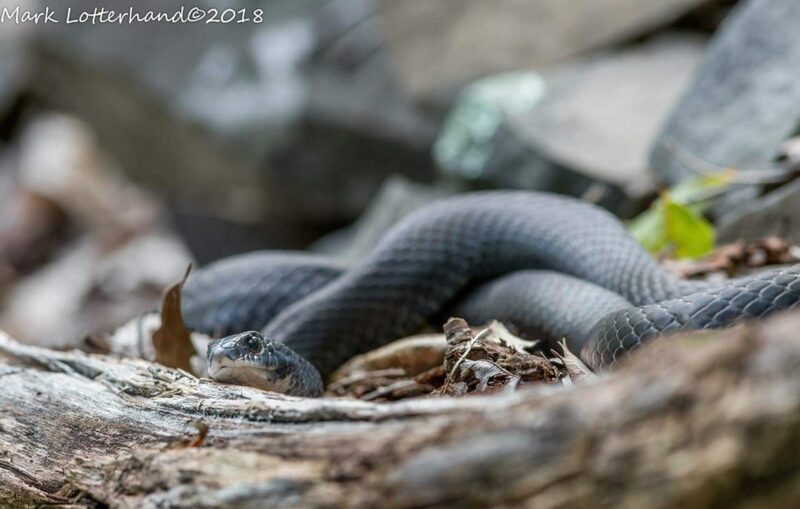 Northern Black Racer (Coluber constrictor) found at a multi species den site in Connecticut October 2018, Mark Lotterhand. 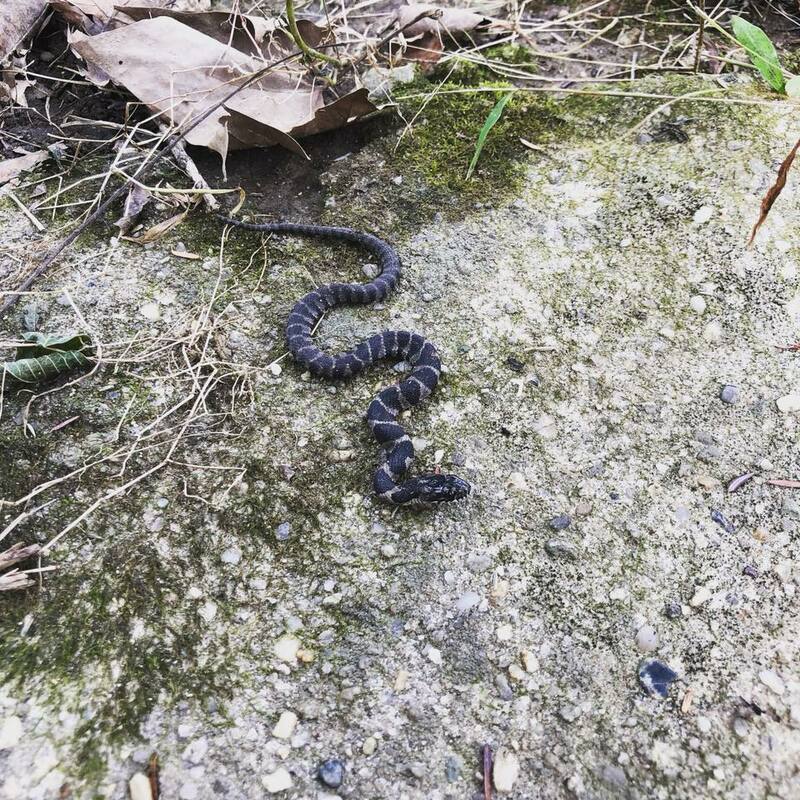 What should I do if I find a “cold” snake? Snakes are ectothermic. This means they rely on external sources to provide adequate temperatures for them to thrive; they do not create or maintain their own temperature like mammals. Native snakes have evolved for the many challenges their environment presents them, including temperature changes. If you find a snake that appears sluggish and cold ask yourself these questions before interfering: Was I responsible for the snakes exposure? 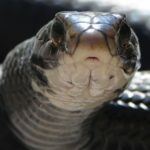 Was the snake unearthed from a buried hiding spot? Was its hiding place dismantled or destroyed? Is the animal in eminent danger from humans, pets or livestock? Is the animal injured? If your answer is no to those questions simply leave the animal alone. These are wild animals and rarely do they require our help. If your answer is yes, please refer to the following points: If the animal is in danger from humans, pets or livestock, first secure your animals for their own safety. Secondly confirm the snake species, and you can decide to educate any bystander, and determine whether it is safe to leave the snake to move on alone. 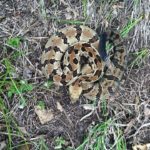 If you have decided it’s not safe to allow the snake to leave on its own, and it is non-venomous, you can move it a short distance to a safer hiding spot. 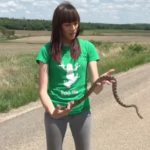 For tips on safely handling / moving a non-venomous snake, refer to this tutorial by staff member Laura Lux https://wsed.org/handling-snakes/. Contact a professional if you require assistance and are not comfortable to move it yourself. ALWAYS contact a professional for help with a venomous species. An important note: If the species is protected/threatened or endangered contact the relevant department of wildlife or state rehabilitators. Do not attempt to move the animal. If the animal was simply disrupted from its hiding place, the first suggestion would be to reconstruct the shelter and release the animal beside it. Do NOT put the snake back and place objects on it, this could trap or kill the snake. When that is not possible, explore other safe nearby shelters. Look for brush piles, rock walls, wood piles – anywhere that appears to be adequate temporary shelter. Do not move it farther away from its original spot than necessary. Anything that can provide it with a temporary shelter will do. In a case where the animal is injured or none of these options can be carried out, contact your local wildlife rehabilitators. They will provide you with appropriate advice for your specific situation. They may also be able to evaluate the animal and provide care until it can be safely released again. Follow this link to find rehabilitators in your state: www.owra.org/find-a-wildlife-rehabilitator, or search your state’s Department of Environmental Protections / Department of Natural Resources. The staff wants to stress DO NOT try and “warm up” a snake you’ve found outdoors artificially. Sudden warming or cooling can result in thermal shock and death. If for any reason you suspect a snake needs medical interventions, find licensed professionals for further instruction. Young Northern Waternake (Nerodia sipedon) out on a cold October day 2018. Found by staff Bill Rulon-Miller. Chelsea resides in Sherman, CT. She is a wife and mother to three boys that share her passion for wildlife. She has studied herpetology for most of her life. Chelsea teaches a free class on native snakes biannually, and takes great pride in helping others understand these misunderstood animals. She is very thankful for the team of staff that make WSED such a valuable resource, and for the public like you who are willing to learn more! 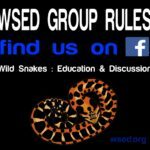 The official website for Wild Snakes : Education & Discussion (WSED).